I didn’t know you could buy them . .
Sign in window of health-shop, Galway, Ireland. I came across the above a few months ago while in Galway for a book reading, and decided it was too good not to share! I then promptly forgot about it until this morning, while searching for a different picture (which I didn’t find). 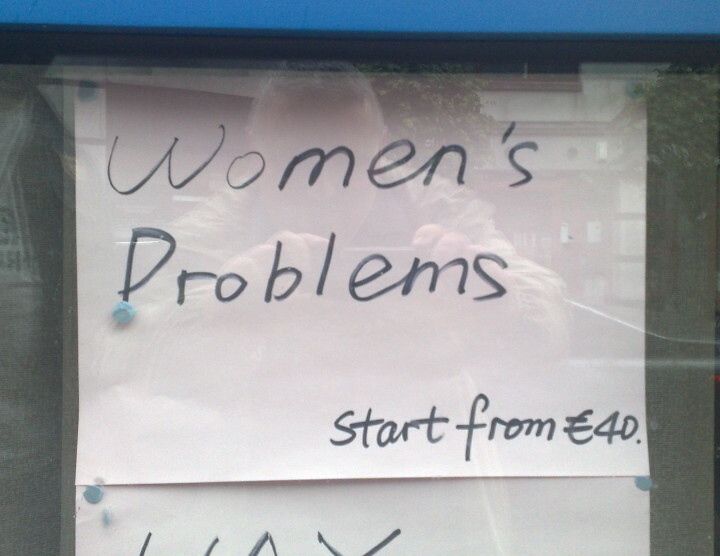 What kind of problems do women get for €40 anyway? One totally unintended effect is the reflection, which puts my face as the background image for “Women’s Problems”.